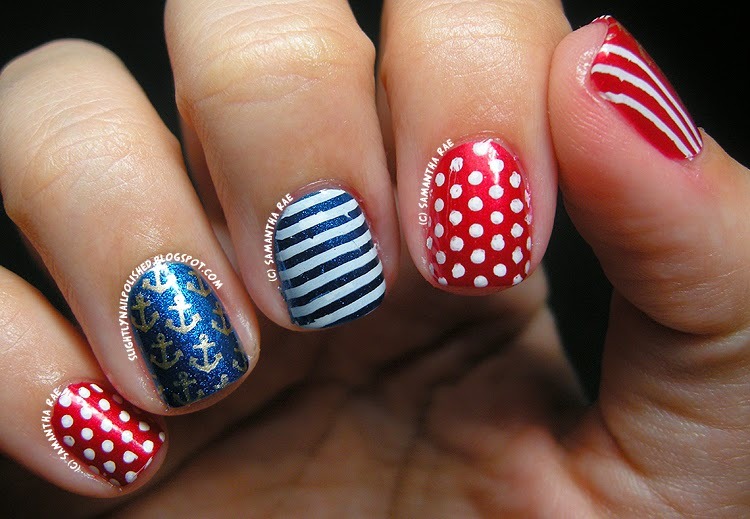 Slightly Nail Polished: Nautical redux! Now I dunno about you, but when I think of summer, I usually think of summer vacation. That and the unbearable heat that goes with the season, but I digress. And when I think of summer vacation, I usually think of the Fourth of July. Red, white and blue: one of my favorites. This is one from the archives, done back in May, but I feel like it's the perfect time to share. If you've been following me for a while, you may have noticed that this looks a little familiar. And yes, the design isn't all that original. I originally did a version of this design back in April 2013 (you can find it on my DeviantArt account). 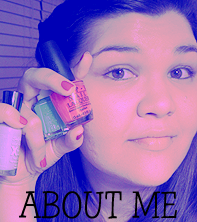 But it's one of my favorite designs and I wanted to do it again, but with some new stamps and polishes! I think it turned out perfect, even if I did mess up the stripes... again. I hope you like the design. ;) Please let me know what you think. Do you like the old version better? I love your nails! 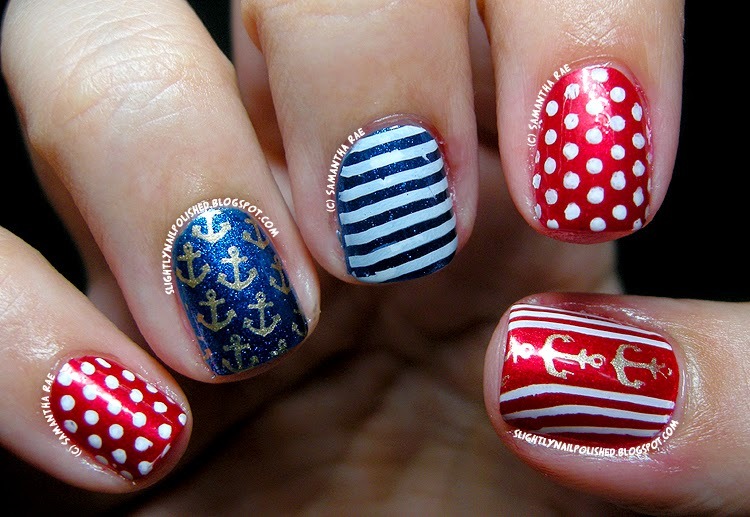 I especially love the gold anchors over the blue polish! Very nice!